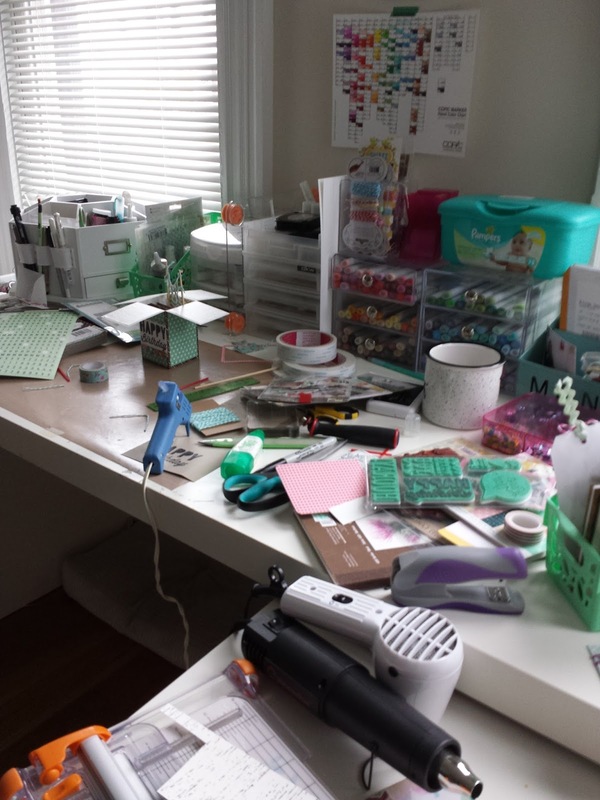 There is a very fun "Creative Blog Hop Tour" going around the blogosphere, and I'm so excited to be a part of it. It's almost like a TAG, you're it! Last Monday I was 'tagged' by my friend Lynn, and today I'll 'tag' another friend and she will post next Monday... and it goes on and on! This is a fun new way to meet new people in our creative circles. I was tagged last week by the lovely Lynn Kopas. Our friendship is such a great example of how this hobby can bring total strangers together! 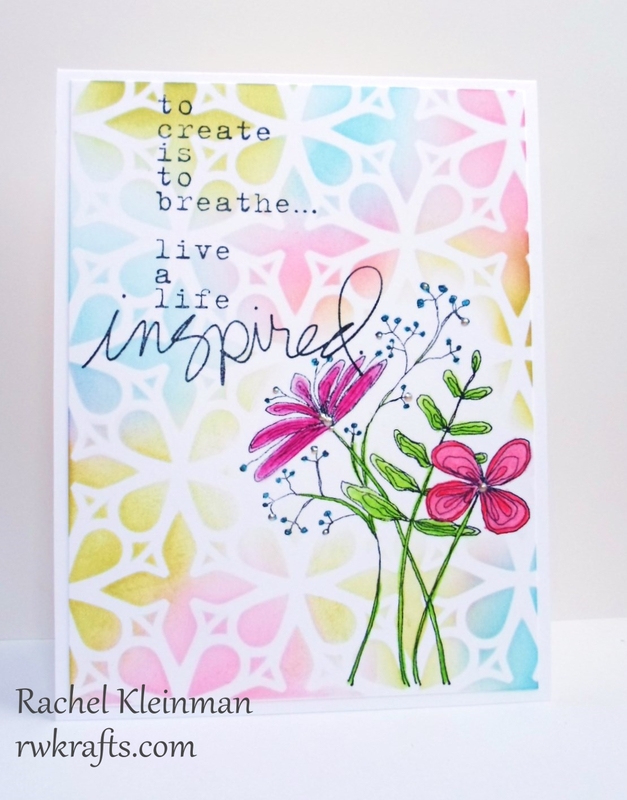 She is one of the talented design team members in the Mixed Media Monthly Challenge, and I was thrilled to learn she was a New England crafter just like me! In April we actually had an opportunity to meet each other at an art class! Lynn has so much talent and such a great eye for color. 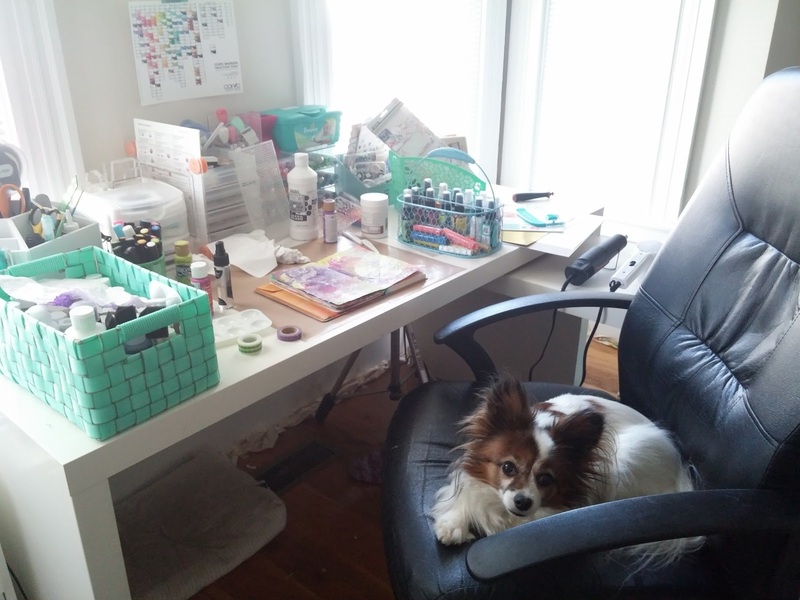 She has been published in several magazines, on great design teams (including Petaloo and Creative Imaginations), and is a Ranger Certified Educator. I'm lucky to have Lynn less than two hours away, so we have met up for artsy play dates 3 times now! Thank you, Lynn, for tagging me on this blog tour! I'm usually working on cards, scrapbook pages, or dabbling in my art journal. 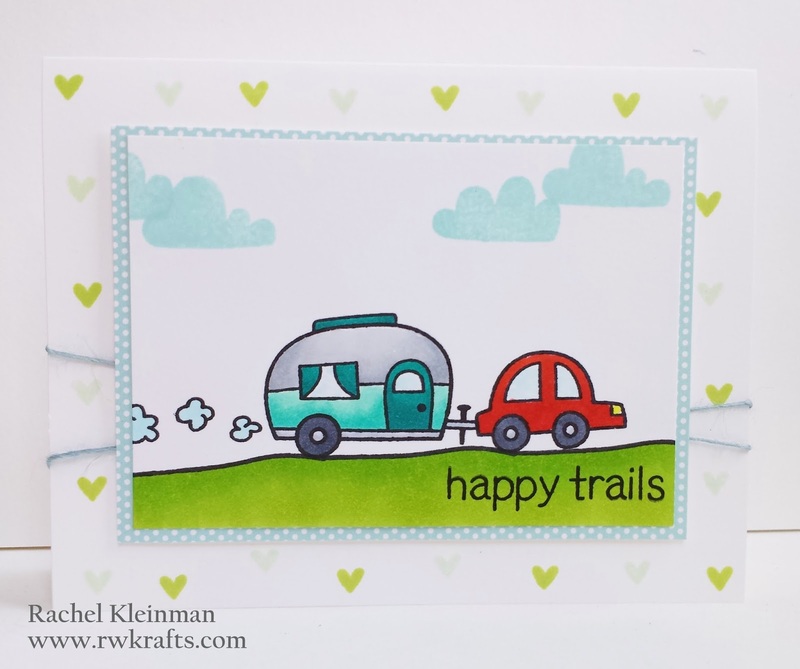 I love my stamps and am constantly practicing my Copic coloring, usually with Unity or Lawn Fawn stamps. I've also had a super fun summer and am currently waiting on more than 200 photos to arrive in the mail! Once I get those babies, I'll be scrapbooking up a storm! Lynn and I were actually just together on August 1st and we all got messy in our journals. Here is a little collage of the latest page I started and finished with her. This is such a difficult question, especially since mixed media is so unique to each person. With my cards, layouts, and journal pages, a common theme is always COLOR! 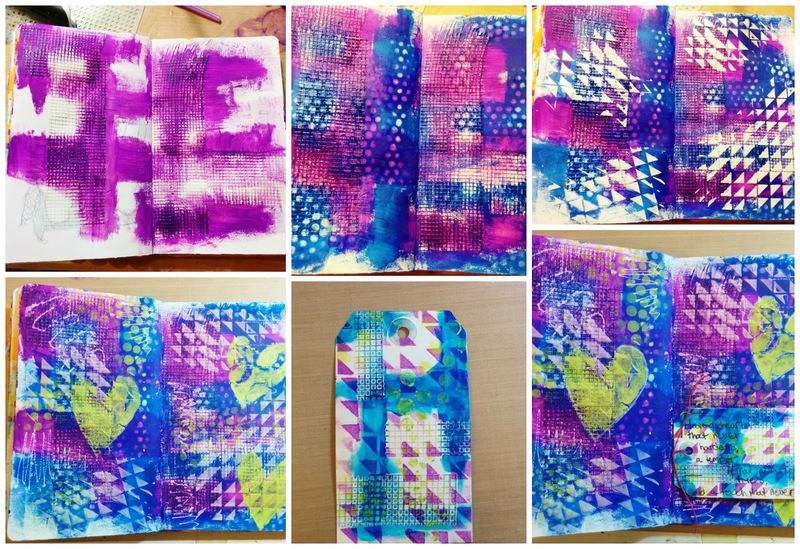 I use a lot of bright happy colors, and want to make cheerful and fun projects. 3) Why do I create what I do? The simple answer is that creating is an escape. Being creative is a constant growing experience and there's never an end point. I love the endless inspiration from people around me. The only negative to this hobby is the money that it steals out of my wallet! Enough about me! I'm ready to tag my crafty friend Donna Bowman! I don't even really know how we first met, just from commenting back and forth on each others' blogs (that's my best guess!). 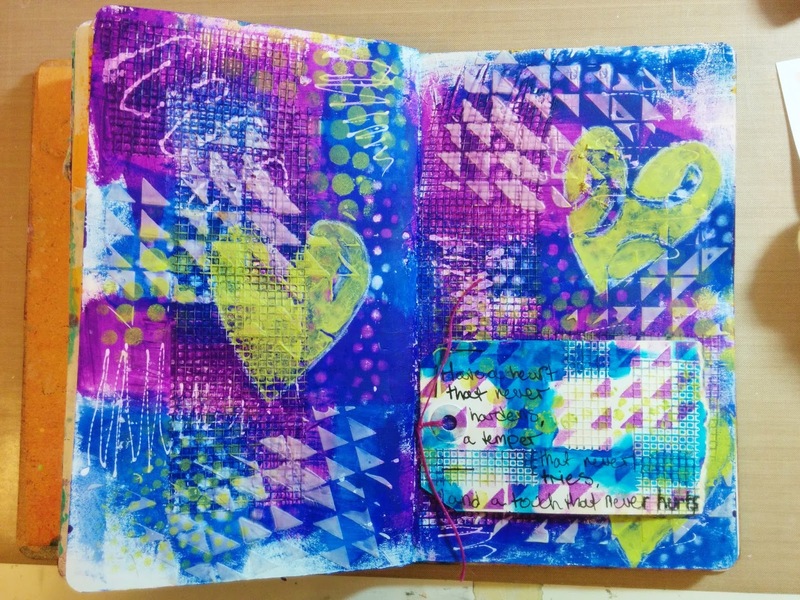 Then we were on the Play Date Cafe Challenge together and now we run the Mixed Media Monthly Challenge! I met first met Donna in November 2012 when she visited NYC. Since then I've visited her in South Carolina AND... ironically enough, I am boarding a plane to visit her again in just a few hours! Be sure to visit Donna's blog next Monday where she continues on this crafty blog tour!